The 4.3-inch Z1 “Mini” may be a Japan-only exclusive. NTT DoCoMo, Japan’s largest wireless carrier, announced a shrunk-down version of its flagship Xperia Z1 smartphone at a press event earlier today. With a 4.3-inch screen, it is only slightly larger than the current iPhone 5s, making it attractive to people with small hands or who are simply uninterested in the five-inch-plus “phablets” that have taken over the Android landscape. Though it has been called the “mini” version of its five-inch big brother, the Xperia Z1F manages to pack most of the same high-end internals. 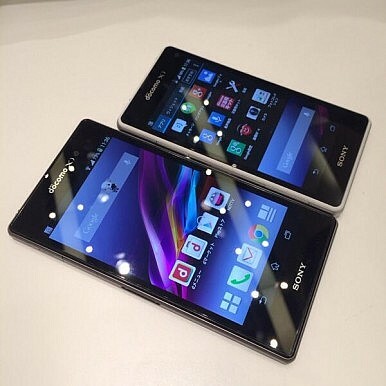 An identical 2.2GHz Qualcomm Snapdragon 800 CPU gives the Xperia Z1F just as much processing muscle as the full-sized version. It also comes with 2GB of RAM and 16GB of internal storage. Perhaps most surprisingly, the tiny gadget retains the impressive 20.1MP rear-facing camera that made the Z1 so buzzworthy. Additionally, the Xperia Z1F will offer NFC, wireless charging, and a 2,300 mAh battery. It will run Android 4.2.2 Jelly Bean out of the box. “It also maintains the Z1's high-quality, waterproofed glass and aluminum construction, and is available in black, white, lime, and pink,” said TheVerge. Unfortunately, the scaled-down screen comes with scaled-down pixels – the display packs 1280 x 720 pixels compared to the 1920 x 1080 full-HD screen offered by the larger Xperia Z1. “Luckily, it still uses the same crisp Sony BRAVIA LCD technology,” said Android Community. Although it maintains the Xperia Z1’s strong points, the Xperia Z1F also seems to suffer from its big brother’s flaws. Poor viewing angles, an issue that has plagued recent Sony smartphones, leave much to be desired. The powerful camera also suffers from processing issues, tricky white balance, and less than ideal exposure. “Shots looked washed out next to that of the iPhone 5s, despite Sony having the superior lens and sensor on paper,” The Verge added. A caveat: For anyone with petite hands that might be interested in giving the Xperia Z1F a try – unless you’re in Japan, you may not get the chance. Sony’s latest creation appears to be a DoCoMo only exclusive, debuting as part of the carrier’s Winter/Spring 2013-2014 campaign. If it is any indication, the Xperia GX and Xperia SX – smaller versions of last year’s Xperia Z – never left the archipelago. Will Sony break the mold with the Z1’s anticipated successor – or offer a simple refresh?